It is time for management to pay more attention to the transformation in employee performance management that is spreading all around the globe. In an era when 84% of the stock market capitalisation is intangible assets (intellectual properties, human capital brand values, and software, etc.,) organisations need to change the ways they set goals, measure progress, and improve entire team performance. In details, when putting together a new set of goal, leaders must keep in mind that it should be more agile, flexible, and made not only for the development of the business but also for the career growth of the employees. The success of the organisation can be a direct result of investing in people's success. The coaching and training programs designed to build stronger teams will, in turn, make your organisation more resilient and robust. "Over the last two decades, we’ve seen a steady shift away from what I called the “competitive evaluation” model (ie. you rate people, rank them, and force the distribution to remove those at the bottom) to what I call the “coaching and development” model." The coaching culture – the new ideal working environment for both of the employees and the organisation – is the first step for your organisation to keep up with the constant changes in today’s business. In order to successfully establish the coaching culture, the organisation needs a clear and well-aligned development strategy, backed up by effective communication and continuous support from the management. Additionally, the role of the coaches is also an important element that makes the coaching culture works for your organisation. Some companies choose to recruit their coaches from internal sources while others decide to hire external coaches, depending on the maturity of the company itself. Companies that successfully promote the coaching culture will have higher employee engagement and financial performance in comparison with those who don’t. As proven by multiple experiments, the growth mindset is another key aspect that contributes greatly to the success of the organisation. The growth mindset – one’s positive attitude towards failures and challenges – can decide their as well as the organisation’s future successes. Fostering the growth mindset at the workplace takes both dedication and effort from the employees and the leaders. In facts, the purpose, progress, and continuous growth of the employees are the key ignitions that boost one’s personal productivity. Organisations must assure that the clarity, motivation and the growth culture is constantly promoted in the workplace if they want to improve individual productivity. Read more: Growth Mindset at Work: Why and How? One’s role in the organisation has also been affected in accordance with the changes in how organisations operate. People started to work in cross-functional teams, and some leaders began to work across many teams. More specifically, at Google, the OKRs goal setting process has been proven to be the key driver that led to their major success. OKRs have reconstructed and transformed the way companies view and set up goals as a unified organisation. In terms of managing performance, the new “systems of productivity” at work has been used with the main purpose of measuring employee’s tasks day by day. Defined as a continuous performance management system, there have been many different platforms built for different purposes. For example, developers normally use Jira, Trello, and Github, salespeople use Salesforce, while operations people use Asana or Wrike and white collar workers use Outlook365, Microsoft Teams, Slack, G-Suite, or Workplace by Facebook. These tools are effective in gathering data, tracking performance and evaluate employees’ productivity from day to day. Another trend that HR professionals should keep their eyes on is the AI technology. AI has been integrated into many different industries, and talent management is not an exception. In recent years, many HR vendors have started to experiment with AI-driven software. Because of the AI’s ability to keep track of one’s behaviour and preference, it can assess the individual’s style of work, provide coaching against that style, and even give feedback on how the employee could change his or her behavior. The future of performance management is predicted to be linked closely with AI technology and all the performance data that can be captured with software. The needs for changes in the way organisations manage their employees is rising in recent years. The innovation in new software, as well as the way companies view and assess employee performance management has caused leaders to rethink how they measure and manage performance in their company. Employees nowadays are now investing more in their personal development and are demanding continuous development plans from their employers. 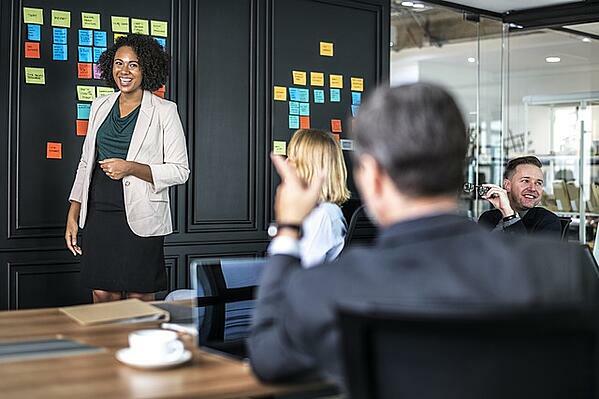 Therefore, besides improving the employee’s performance, organisations also have to put together learning and development plans for their employees in order to retain, engage and help the employees to grow along with the development of the organisation.